St Giles Garden Party 1966. See note below. Photo copyright of David Brookfield. think other girl is. susan pillinger. Wot – no Jim Batterham and Mick Hazard!! Terrific Photo. I have fond memories of Peter Brook RIP. The boys have a great ‘ Killamarsh Mod Look’, no trainers in sight! Love the sideburns Dave. 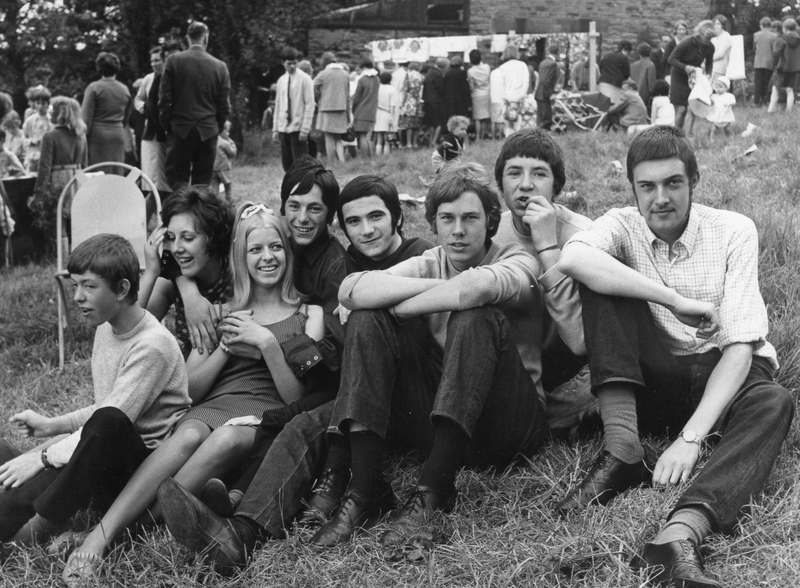 St Giles Garden Party – about 1966. Left to right: Paul Royston, Susan Milner, Sue ?, Alan Dobson, Mick Childs, Paul Beedham, Peter Brook, Dave Brookfield.